Impress them with this unique and colorful rubber tag featuring your logo in a raised and contoured finish. 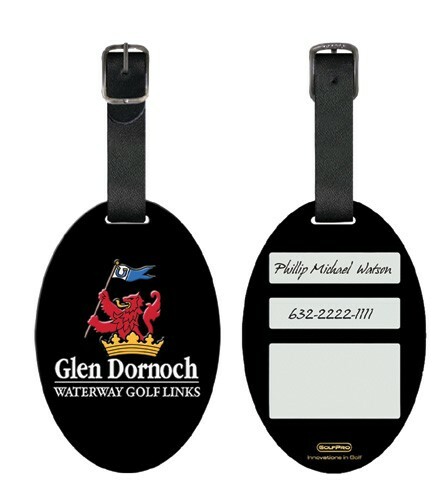 The tag is all custom designed and allow for your complete name and contact details on the backside. Secure with leather strap. Multi-colors available. Minimum order 150 pieces. 3" x 2.125" x .187"